The TRS100 enables fast, easy to use whole tablet or capsule assay & polymorph analysis for pharmaceutical QC testing. Easier to implement than other spectroscopic methods, Agilent’s transmission Raman spectroscopy (TRS) technology allows simple method-development and deployment in QC applications. A TRS100 system can reduce content uniformity (CU), assay, and ID tests to minutes per batch, saving significant cost and speeding up your QC workflow. TRS100 system trays can hold up to 300 coated tablets or intact capsules, or tens of glass vials or powder samples. Sample preparation and consumables are not needed, meaning skilled analytical resource is not required. CU testing methods using transmission Raman have been approved by regulators using ICH and regulatory-authority acceptable protocols. Solid state Analysis: The TRS100 can be used for quantitative measurement of polymorph content in intact tablets, with LOQ of 0.1-1% w/w – significantly better than XRPD. TRS can be used for residual crystallinity in amorphous API/tablet analysis. 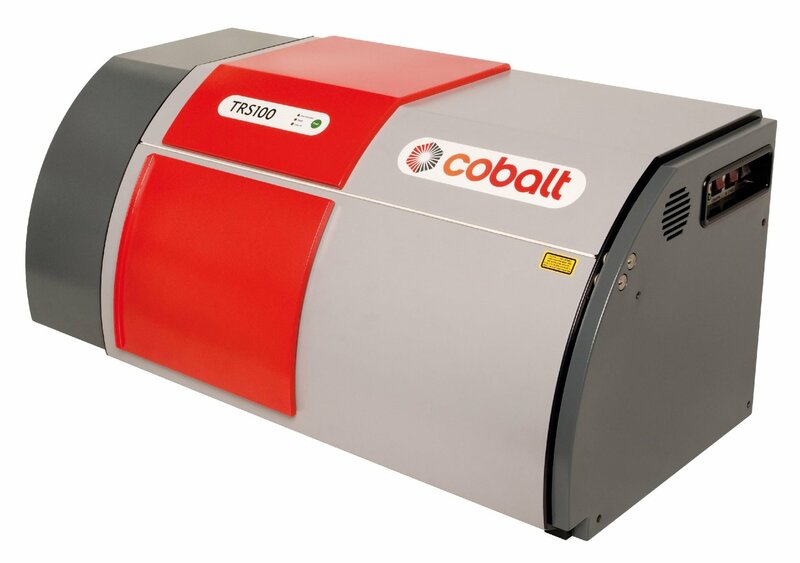 TRS100 is developed and manufactured by Cobalt Light Systems, now a part of Agilent Technologies. TRS100 is sold and supported in Canada by ProSpect Scientific Inc, specialists in Raman spectroscopy. Call ProSpect Scientific to arrange a demonstration.